Community sports event planned to help raise funds for sports complex. On Saturday, October 17th, Jamestown Christian Church will host a community sports event in order to help raise funds for the ongoing development of the Virgil Benge Community Sports Complex located on the west side of the church campus. The event will be from 12:00pm to 8:00pm and will feature 4v4 sand volleyball tournament, softball tournament as well as a chili cook-off and other food and beverages. Individuals interested in participating in the sporting events need to pre-register online before Thursday, October 8. Registration is $10 per person with all proceeds going to the “Get In The Game” project which funds the further development of the community sports complex. When completed, the Virgil Benge Community Sports Complex will feature a combination baseball/softball field, youth soccer fields, two basketball goals and an exercise walking path that will encompass the entire property. 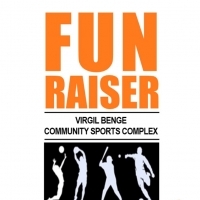 A Facebook group “Virgil Benge Community Sports Complex” has been created especially for this event. For any questions or additional information, visit this page or contact the church via email at info@jamestownchristianchurch.net.